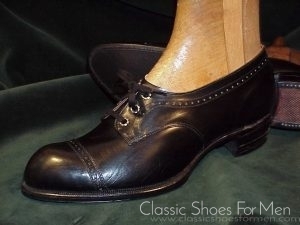 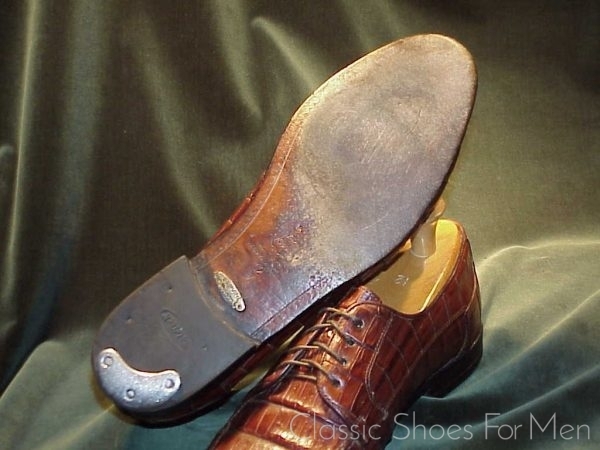 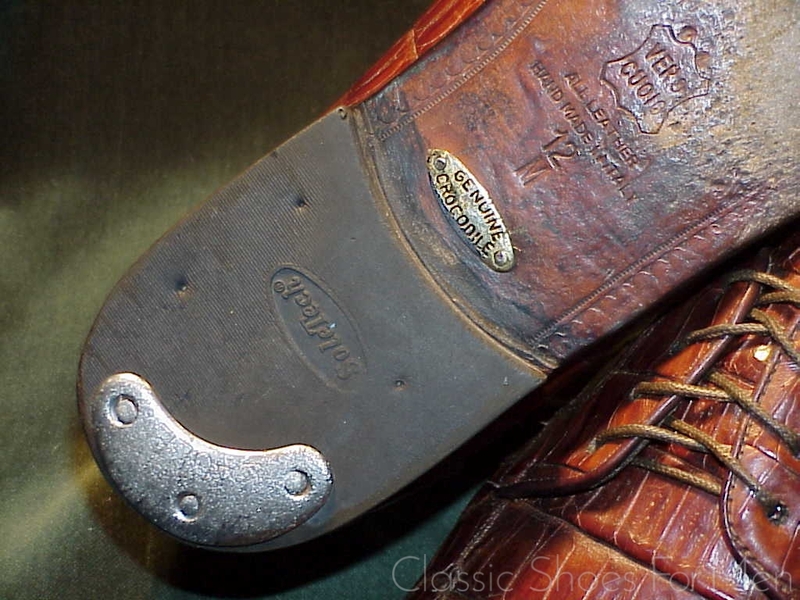 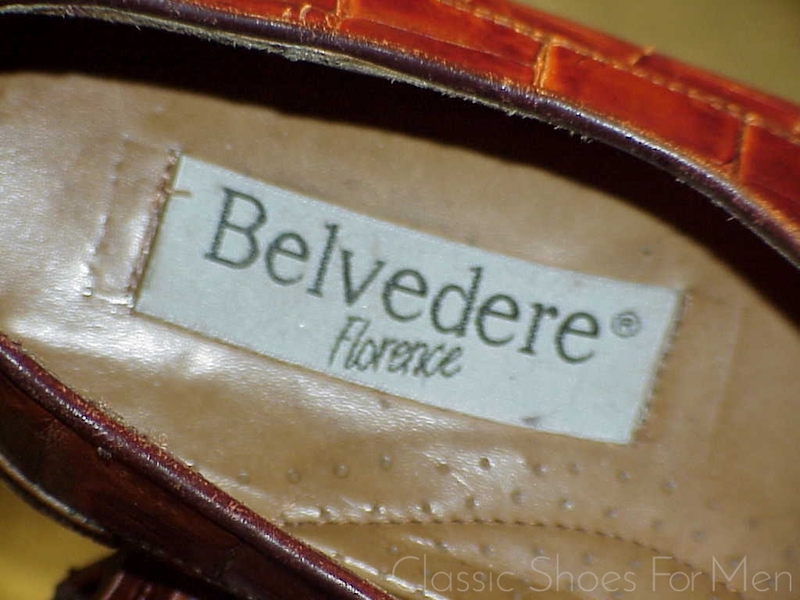 This appears to be a reasonably well made shoe in spite of not being Goodyear welted. 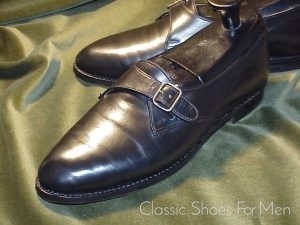 While it is exactly the sort of Italian shoe I warn against -the Blake Stitched, Rapid Stitched and cemented constructions- this shoe distinguishes itself by the use of unusually dramatic large scale skins and by the hand-top stitching of the apron and split toe, a nice bit of detailing which adds finesse to an otherwise frightfully daring model. 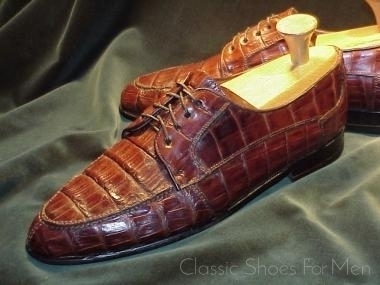 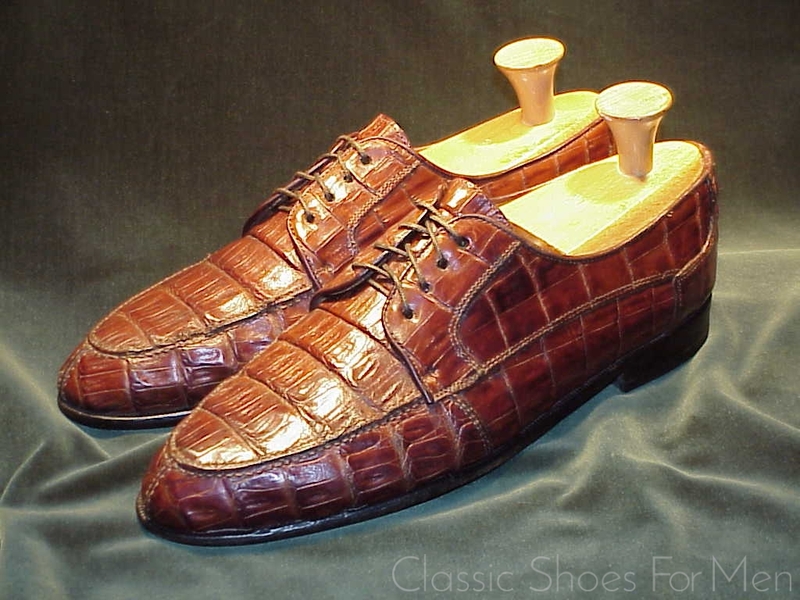 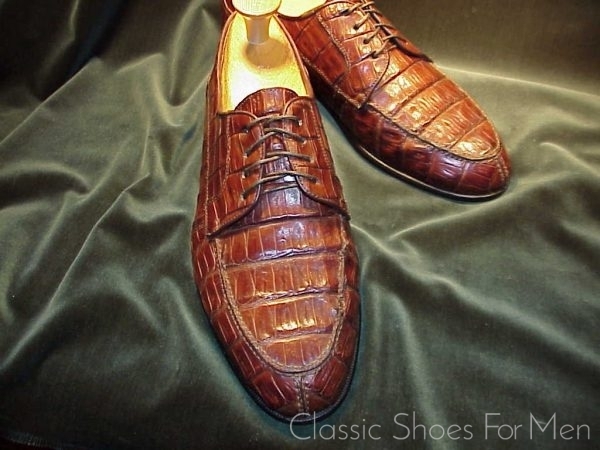 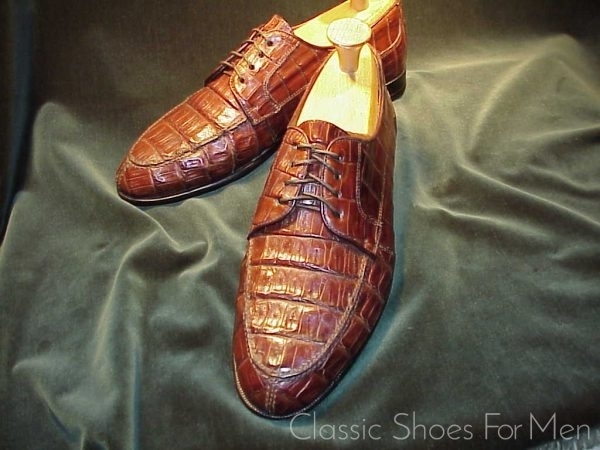 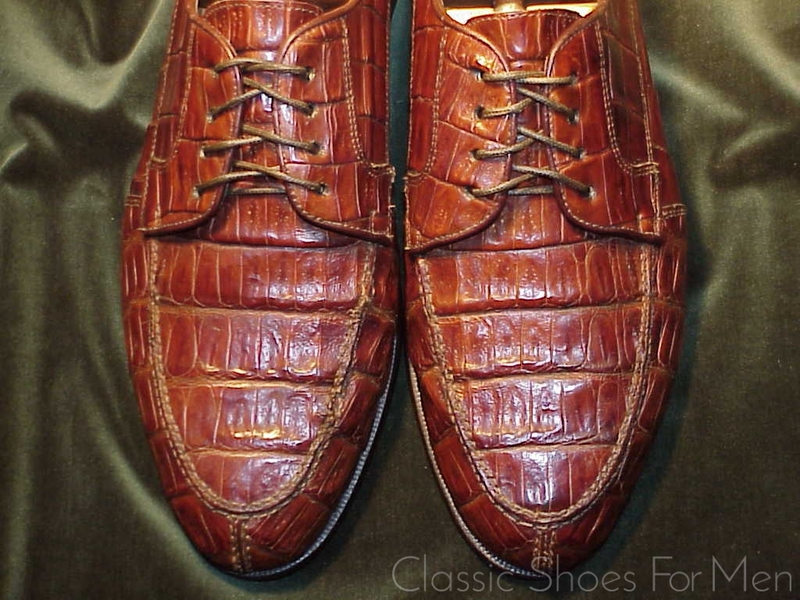 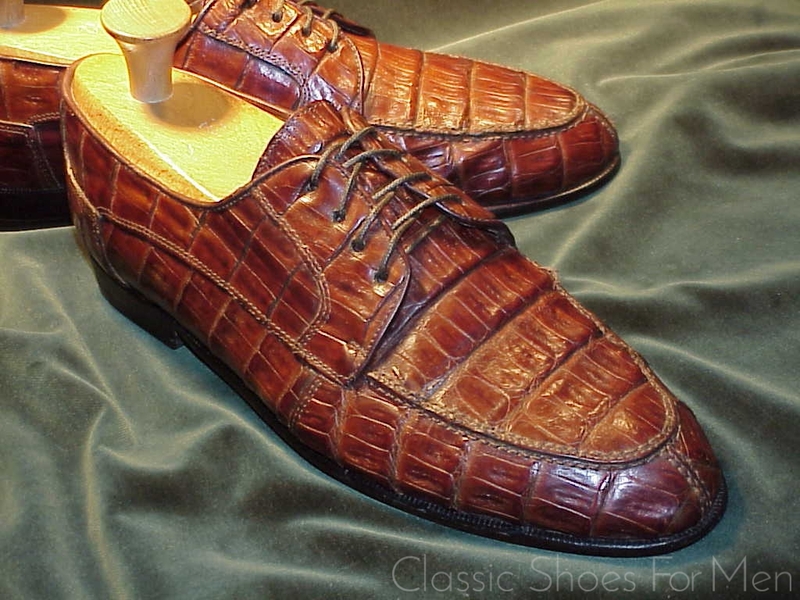 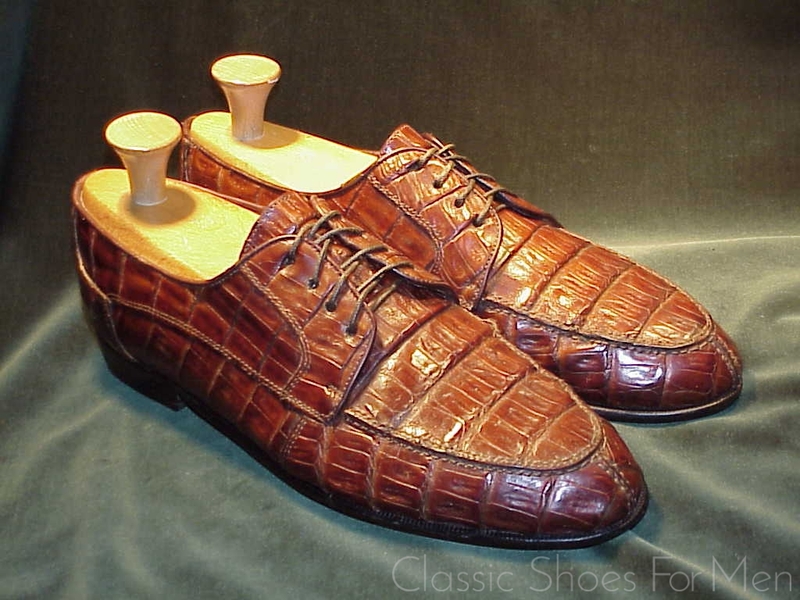 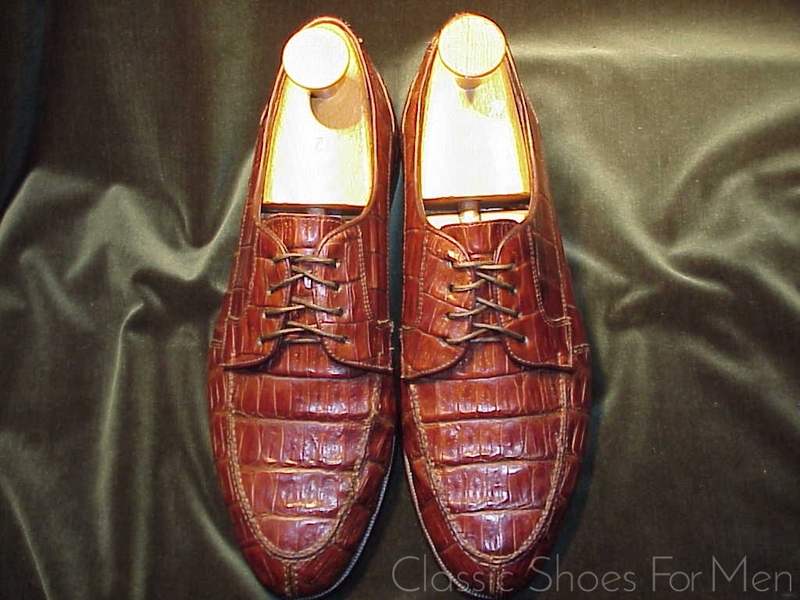 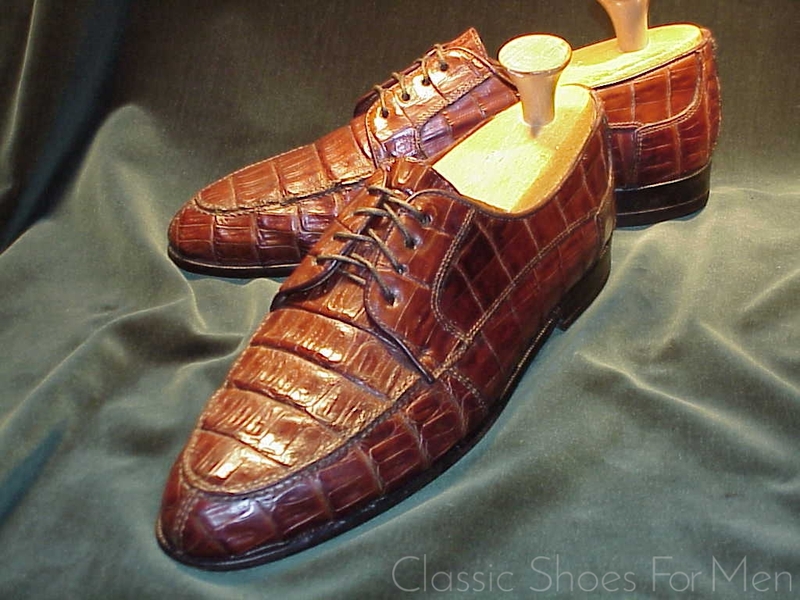 Compare this to the other far more subdued alligator shoes in the website; we are talking wild animal here. 12D US.....11E UK.....46D Continental, for the medium width foot. 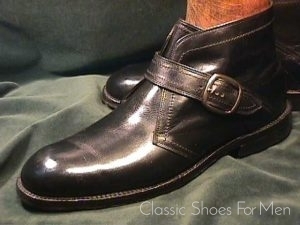 Bottoms showing modest wear. 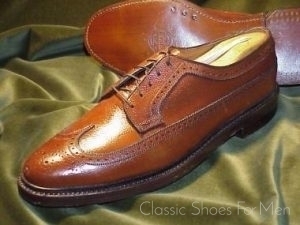 Tops in excellent, near new condition.